Star Wars Episode I - The Phantom Menace was first screened in cinemas across the world on this day in 1999. The fourth movie of the Star Wars saga and the first of the Prequel trilogy, Episode I signalled the kick-start of the film franchise a year before the world entered the 21st Century. It had been 16 years since the last Star Wars film - Return of the Jedi - hit theaters and the appetite for new Star Wars was like never before. The hype for the film was massive and Lucasfilm did it's best to remind people that Star Wars was returning to the big screen - books, teaser trailers and toys had been released to market the film. The first ever Star Wars convention took place in Denver, Colorado - just weeks before the film's release - from April 30 to May 2. A day after Celebration concluded, May 3, a special organised event named Midnight Madness premiered - release of new Phantom Menace toys. May 19 is also remembered for the day that Star Wars: Episode III - Revenge of the Sith - the final installment of the Prequel Trilogy - was released in cinemas back in 2005. 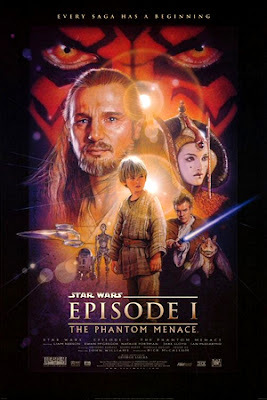 What is your favorite moment from Star Wars: The Phantom Menace? Let us know in the comments below.